Qatar’s Central Bank has loosened its strict banking and foreign exchange regulations for expatriates, as it bids to make the country more attractive to foreigners following the sanctions against it from other Arab countries. The under-fire Arab peninsular country is reacting to stem the flow of expatriate workers bidding to leave, following the move by a number of Arab countries led by Saudi Arabia to sever political and eco­nomic ties on 5 June. UAE severance of diplomatic relations with Qatar - How does it affect you and your company? Land border crossing issues, a number of air routes have been restricted and access to the Gulf’s main ports has been affected after trade and travel ties were cut by the UAE, Saudi Arabia, Bahrain and Egypt over Qatar’s alleged support for terrorist groups and allegations of attempts to undermine their regional policies and domestic affairs. The Qatar Central Bank has said in a statement on its website that it has ordered conventional and Islamic banks in the sheikhdom to allow residents with expiring ­visas to be able conduct all their banking operations throughout the official three-month period for renewing their residency after the visa expiry. This order also applies to foreign exchange companies that are in possession of central bank licences and conduct activities including foreign exchange, and transfer and receipt of money, the statement said. The central bank said this procedure is aimed at facilitating the transactions of residents and expatriates living in Qatar to help smooth financial affairs. 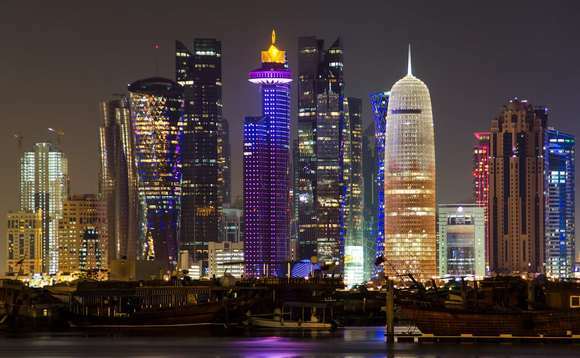 Qatar has been undertaking a series of measures to help its economy and convince expatriates to remain.